Meet the team that make up Ecl-ips. Usually found focussing on solving customers business challenges. Usually found focussing on solving customers business challenges, Aaron has been involved with Ecl-ips since September 2005, enjoyed it so much he bought the company in 2007. 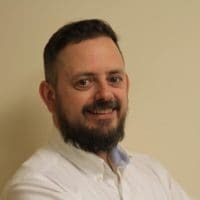 Aaron has always been involved in sales roles throughout his career, moving from Lloyds Bank Head Office to Estate Agents, Distribution and finally into computer networking. His clients have included several Blue Chip Organisations as well as Government and Education sectors. In Aarons spare time he walks his dogs, goes mountain biking, cleans his motorbikes, follows Bristol City as a season ticket holder and occasionally darkens the fairways on the golf course. As the Managing Director of the business Aaron enjoys seeing the team develop and also working with customers to provide important business support tools. Aiming to exceed our customers expectations on their Ecl-ips journey. Nicky’s background of working in the Hospitality Industry for 20 years has really helped with the transition into the working with Ecl-ips. Serving the general public in all aspects of the hotel industry – from booking and running conferences/events and accommodation, to running the business side including controlling budgets and the sales and marketing are all skills that Nicky has been able to utilise within her role in Sales & Marketing at Ecl-ips. In her spare time Nicky enjoys walking the family dog, spending time with friends and family and reading. Technical-minded Steve enjoys tinkering with gadgets and finding out how stuff works. He uses this enthusiasm to develop the best solutions for our customers. Steve has always been technically minded and enjoys tinkering with gadgets and finding out how stuff works. After starting his career working in kitchens for a few years, he very soon joined Ecl-ips to pursue a technical focused career. 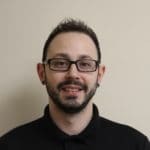 As our Senior Engineer Steve has worked his way up through the ranks over the years and enjoys configuring, installing and providing solutions on customers sites, making sure each install is completed to the highest standard giving the end customer all the usability they could ask for. Steve also supports, maintains clients remotely and directly on site to ensure solutions keep on working as they should. In his spare time Steve likes going out with his mates and spending time with his family, not to forget looking after his numerous pets at home. He also likes to cook Caribbean and Mexican food. Providing business operations support to ensure we deliver service excellence to our customers, Angela is passionate about her role within the company and always strives to exceed customer expectation. 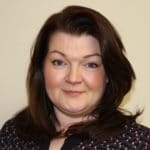 Angela has spent most of her career within business operations roles, to include Sales, purchasing through to Finance; giving her a good understanding of back-office operations. This puts her in a great position to support the smooth running of the business. Angela enjoys her role here at ecl-ips, as the variety allows her to be involved in most aspects of a project end to end. During her day to day tasks Angela will constantly review and question processes to ensure the workflow is efficient and effective, ensuring that we are delivering the best possible service to our customers. In her spare time, Angela enjoys spending time with family and friends, organising social events, cooking and walking. 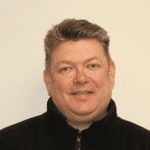 Adrian is a CCTV/Access Control engineer with a wide and expansive background in IT network and communications systems. Adrian joined the Ecl-ips team in November 2015 after pursuing business interests abroad. 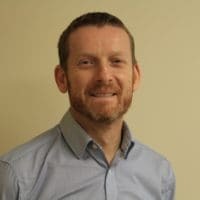 Having worked for many years as a Network Analyst / Manager within corporate and public sectors Adrian adds to the technical skills of the Ecl-ips team. As a Project Engineer Adrian configures and installs solutions on customers sites, making sure each install is completed to highest standard giving the end customer all the usability they could ask for. Adrian also supports and maintains clients remotely and directly on site to ensure solutions keep on working as they should. On his days off Adrian enjoys walking the hills, live music, gardening and restoring old motorcycles. Stuart became a part of the team back in October 2018, since then he has been integral to us here at Ecl-ips. 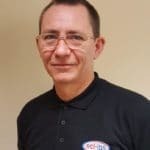 He has been in the IT sector for over twenty years both contracting and permanent, performing various roles from CISCO helpdesk for Network Rail to building and installing POS kit for large major retailers. Stuart enjoys many sports, but particularly loves his golf, where you’ll find him most Saturdays and Sundays on the fairways around the Midlands. Karen can mostly be found keeping our customers up to date on social media. 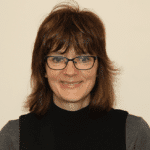 Karen became a member of the Ecl-ips team in January 2019. 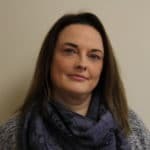 She previously had a similar marketing role with a local community museum; wrote blogs, news reports and edited publications for corporate governance and proxy voting agency, Manifest, now part of Minerva Analytics and had communications roles within the NHS. With a background originally in business journalism she has transferred her skills to public relations and marketing and uses her writing skills for the online and social media world. She is aiming to boost the clicks onto the Ecl-ips website and to encourage more people to contact us to find out what we can do for their business. In her spare time Karen leads the fundraising for her children’s school, enjoys yoga, going for country walks and reading as well as spending time with family.